Chain Length Please Select... 16" 18" 20" 24"
Personalised Dog Tag Necklace with Photo Engraved. 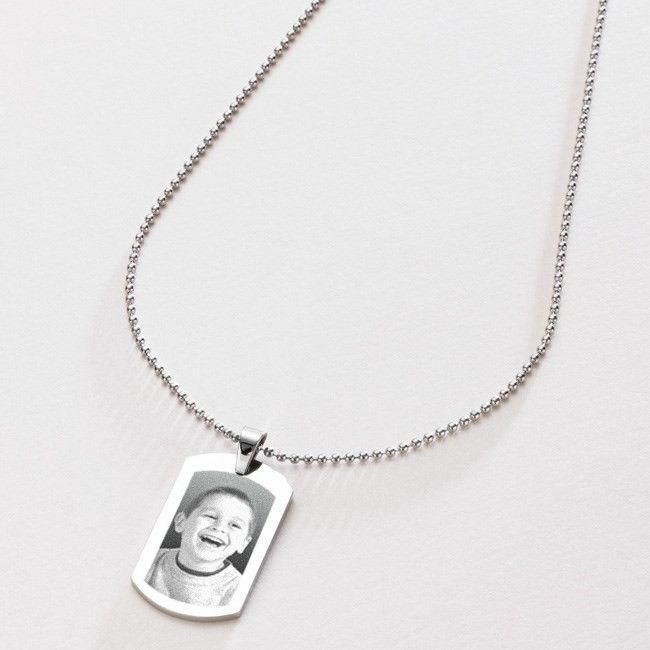 If you are looking for a piece of personalised jewellery as a gift for a man then we have some great ideas for you to browse through in our photo jewellery collection. 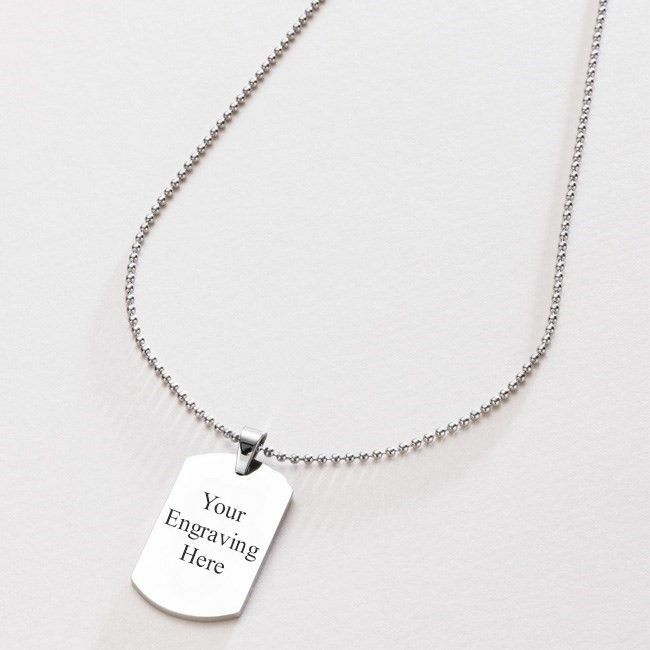 Any photo of your choice can be engraved on this mans dogtag necklace and you can have words, dates and messages engraved on the back of the pendant too. 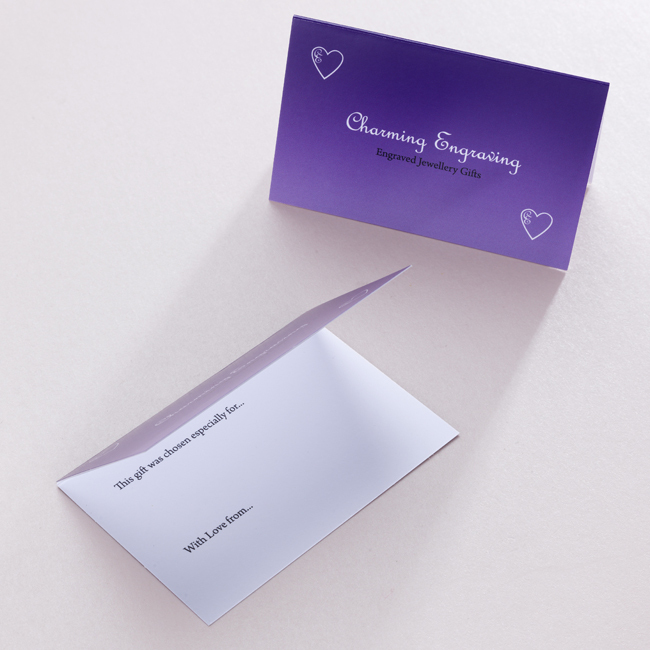 A maximum of 55 Characters on the back (including spaces) can be engraved. Because of the size of the pendant this product is suitable for engraving one to three heads/faces. One head is ideal but two or three heads will work well if they are close together in the photo. Full body pictures will be small and difficult to see. Metal Parts: Chain and Tag both made with high quality, tarnish proof stainless steel. Dogtag Size: 22mm x 36mm x 2mm. Chain Length: 16, 18, 20 or 24 inches. 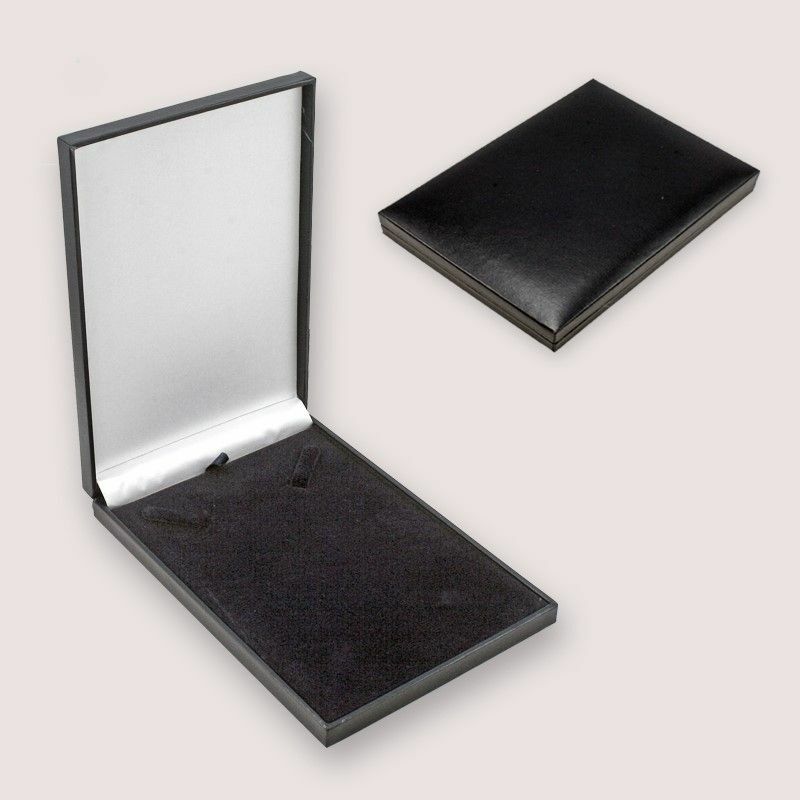 Comes packaged in the black gift box shown. Delivery: Please allow up to 3 days before dispatch of your order for this product. I'm so happy with the dogtag ! The engraved picture is brilliant and its made a fab present for my boyfriend, he loves it.